Check it for accuracy: Read it over to make sure the information on it is accurate. If there are any mistakes, call the number listed on the right hand corner of the form. Retain it for your records: If the information on the form is correct, file it away some place safe. That’s it: you don’t need to file it with your state or federal taxes and you don’t need to return he form to the state. Basically, this form serves to let you know that you and your enrolled dependents did indeed have qualifying health insurance for last year. Note: if you are enrolled in Medicare, or have dependents enrolled in Medicaid, that enroll net info will not appear on this form, 1095-C; instead, you may be getting a 1095-B form from Medicaid. I know we’ve all dove in to our long to-do lists for the semester–creating lesson plans, taking new classes, figuring out dissertations and theses, checking the weather to decide whether to wear a t-shirt or a thick winter jacket–but don’t forget to make sure your NYSHIP account is up to date, especially if you work at a 2-year CUNY college or if you no longer adjunct at the CUNY school where last semester you had NYSHIP deductions taken out of your paycheck. Remember that if there has been a change to your job title or the campus from which you will be paid, you need to submit a transfer form. Keeping your NYSHIP account up-to-date will protect against NYSHIP in Albany terminating your coverage for premium nonpayment without prior notification, which could result in your being responsible for paying for medical services you thought were covered under the plan. This is also important for making sure dependents, such as newborn children, are definitely covered in your plan. If the paperwork is received by Scott Voorhees prior to or as of the beginning date of the appointment, the coverage is effective as of the beginning date of the appointment. If the documentation is submitted within the first 45 days of the appointment date, the coverage is effective as of the date received, which means it is not retroactive to the beginning date of the appointment. If documentation is submitted after the initial 45 days of the appointment date, the coverage is effective 30 days following the date it is received. If you are switching from a fellowship to an adjunct position at CUNY, or vice versa: Fill out change of title and/or campus form (attached to this post) and send to Scott Voorhees, the Graduate Center NYSHIP liaison. This ensures that your health insurance is still being deducted from your paychecks and that you are still covered. Please check your future pay stubs to confirm that the NYSHIP deduction is being taken out. Fill out change of title and/or campus form (attached to this post) and send to Scott Voorhees. This ensures that your health insurance is still being deducted from your paychecks at the new campus and that you are still covered. Please check your future pay stubs to confirm that the NYSHIP deduction is being taken out. If you are taking an adjunct position at a two year college: To be a participant in NYSHIP you must be a state employee. Community college adjuncts are considered city employees, so their payrolls must be transferred. In other words, in order to get state health insurance coverage, you need to get your paychecks through the Graduate Center payroll rather than through the community college payroll department. This transfer must be completed before being enrolled for NYSHIP coverage, and your payroll must be transferred every semester while you are employed at a community college. Hence, it is extremely important that you make sure ASAP that Scott Voorhees knows that you are working at a two-year CUNY school so that your paycheck gets to you on time and so that your health insurance costs are deducted from it; be sure as well to give him your appointment letter. Do this ASAP, because payroll transfers often take some time. **If you are also working at a four-year CUNY school, these instructions do not apply: your health insurance payments will be deducted from your paycheck at the four-year school. If you have changed addresses: Let Scott Voorhees know your new address; otherwise, any NYSHIP information, statement of benefits, bills, etc, will be sent to your old address. 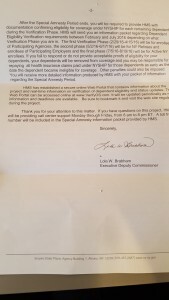 ID cards are not forwarded but are sent back to Albany. The change of address form is attached to this post. Qualifying events: Qualifying events are events that allow for a change in your health insurance: for instance, getting married, entering into a domestic partnership, and having a child are events that allow you to add dependents to your NYSHIP insurance. There are also qualifying events that allow you to cancel your NYSHIP insurance, such as when a marriage or domestic partnership allows you to become eligible to be enrolled on your partner’s insurance plan, or divorce or the end of the relationship makes necessary the termination of a spouse or partner’s coverage. However, you must let Scott Voorhees know within 30 days of the effective date of any of these events. Otherwise, you may be subject to a thirty day waiting period until the changes become effective, or you may be unable to make that switch until the end of your current appointment term. You may be liable for covering medical costs that occurred while you believed that NYSHIP would cover your partner/children. If your appointment is ending, you are taking a leave of absence or you are graduating: You will need to complete a Termination Request form (attached to this post) if your eligible appointment is ending and you do not have an eligible appointment for the subsequent semester, or if you are taking a leave of absence or graduating. 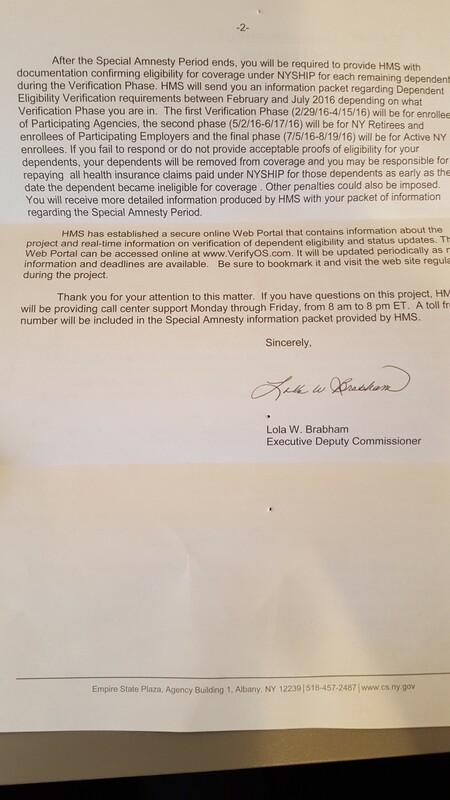 Once your termination is processed, you will be offered continued coverage via COBRA by New York State Civil Service. If you have an eligible appointment in a subsequent semester or return from a leave of absence with an eligible appointment, you can be re-enrolled in NYSHIP. Please contact Scott Voorhees. Note on pay stubs and NYSHIP: Retroactive NYSHIP charges/deductions from your paycheck will appear with the abbreviation “ADJ” which means adjustment, not adjunct. These charges are in addition to the regular bi-weekly deduction and are the result of adding a spouse, partner or child. It generally takes a couple of payroll periods after the effective date of the change before these deductions will appear on your pay stub. If you have any questions, you can contact Scott Voorhees. Concerns/questions about your NYSHIP coverage or claims? You can contact Scott Voorhees and me (DSC Health and Wellness Officer). Once you set up a meeting with him, make sure you have both the medical bills from the provider and the NYSHIP statement of benefits forms that pertain to your concern. Keep the DSC aware of your concerns as well, so we know better how to advocate for you; I am happy to meet with you. Contacting NYSHIP: You can contact NYSHIP at 1-877-769-7447, but be sure to document your call: ask for the name of the person you are speaking to and write down what that person says to you or record the call. Remember as well that you have a right to ask to speak to the supervisor of the person on the line in order to get more information, especially if you are unclear on what the person on the line is telling you. Office: DSC Room 5495; see my office hours on the Doctoral Student Council website (cunydsc.org). There is an amnesty period till January 29th for voluntarily removing ineligible dependents from coverage (in other words, if you remove ineligible dependents by that date, you will not be liable for repaying claims already paid out for them). 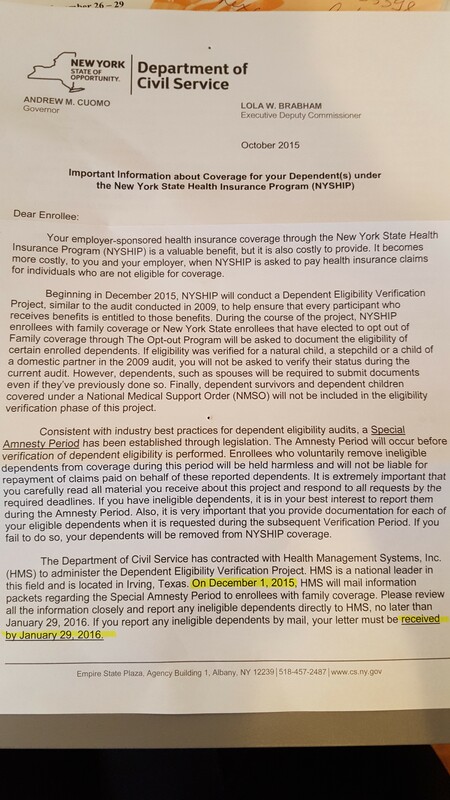 To clarify, if you’re removing ineligible dependents from your NYSHIP coverage, you should send the letter early enough so that the company doing this audit, HMS, receives it by January 29th, 2016 (look in your mail for an information packet on the process you need to go through to remove dependents). Once this amnesty period is over, you will have to provide proof of eligibility for each dependent you have enrolled in NYSHIP; check your mail in the first half of next year for an information packet with instructions on how to provide documentation and when you need to provide it by. 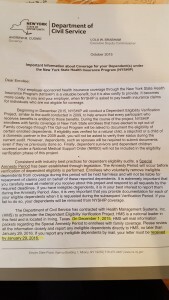 Keep in mind that not sending in this documentation has these consequences: your dependent will end up removed from NYSHIP coverage, and, as the enrollee, you may be responsible for paying back insurance claim payments (the letter also notes that the Department of Civil Services may impose other penalties, but does not specify what those are). 1) A student recently asked me about the experience of being pregnant/giving birth on NYSHIP, and they asked me to send out a call for tips and recommendations on this front. If I can get some information on this, I can put that information on the website for them and for other students who are pregnant or looking into pregnancy (other information that would be useful, while we’re at it! : resources for dealing with *ugh* bedbugs, resources for students who aren’t on NYSHIP). “There’s an awful cost to getting a PhD that no one talks about”….so let’s talk about it. Recently, an article on Quartz about the high rate of mental health issues in graduate school and the academy–and its devastating effects–has been making the rounds. The author, Jennifer Walker, cites a 2015 study at UC Berkeley that found 47% of graduate students deal with depression; grad students also deal with suicidal thoughts, anxiety, and feelings of isolation (and, while the article doesn’t discuss it, anxiety about finances). If you haven’t had a chance to read it, you can find it here: http://qz.com/547641/theres-an-awful-cost-to-getting-a-phd-that-no-one-talks-about/. Here at the GC, we have some mental health support provided by the Wellness Center in the form of workshops, referrals, academic/dissertation consults, and counseling sessions, and the insurance many of us use, NYSHIP, does have mental health coverage included. Moreover, I’m working on collecting information for this site on sliding-scale therapy and counseling for underinsured students, and students who have had trouble finding mental health providers within our network (please send along, via my email or the contact form, any recommendations). I’d encourage you to take advantage of these resources when you can. However, accessing these resources is not easy for us as students who are both trying to do our own research while often holding down multiple jobs, and the many benefits of living in a vibrant city like New York also come with the real downsides of often feeling even more isolated and alone in our work; we are spread across boroughs, states, and campuses, and it can be difficult to get access to the support systems we need from the GC community, including support from other GC students who are encountering the same struggles and stresses that we are. The problems students have had with getting the benefits they need under ValueOptions/Beacon Health, the MHSA provider under NYSHIP, provides extra unneeded stress and financial burden and deters those who would want to seek out providers, but fear having to deal with insurance. It doesn’t help that stigma against mental illness–and getting help for it–continues to keep people afraid and embarrassed to admit their own suffering and pain. With that in mind, at the DSC we’d like to try to cultivate an atmosphere of openness and support regarding mental health issues, and a space to talk about what Paul Gilmartin in his podcast (The Mental Illness Happy Hour–check it out!) calls the “battles in our heads.” Please let us know what we can do to help facilitate this at the Graduate Center; we’ll continue to fight for solid mental health insurance coverage for GC students, and to work with the Wellness Center to get them information about what students at the GC need. However, we’d also like to work to reduce stigmas against mental illness and getting help for it: with that in mind, I want to put out a call again for narratives about your own experiences with mental health issues. In the past, I’ve asked for narratives specifically about ValueOptions/insurance experiences, and that would absolutely still be valuable; however, I would like to broaden the call to ask GC students to send any and all stories they have about their experiences and struggles as a student and person. I would define issues with mental health broadly, to mean not just diagnosed mental illnesses, but anything that affects your mental and psychological health and well being; and, I would stress, the other letters in “MHSA” stand for substance abuse, which is something grad students suffer from that remains underdiscussed (and arguably is even more stigmatized). We hope to use these narratives to create some kind of document–digital and/or paper–to share with the GC community, so as to help provoke a larger, GC-wide discussion about mental health issues as well as promote awareness of them. Hearing these stories is important because it also allows us to get a sense of the problems faced not just by grad students generally but by GC students specifically. These submissions can be anonymous (through the contact form on this site) or not (through my email: wellness [at] cunydsc [dot] org); we will also not use your name in your story, whatever document we create, unless you want your name published (feel free, as well, to send advice about what kind of format this document should take). Of course, your stories can also help us to communicate to GC/CUNY admins the resources and support we need as a community. Graduate school is often framed as an isolating and lonely experience, but it doesn’t have to be the norm, nor should it be an accepted fact of grad student life. You are not alone–and you shouldn’t be made to feel that way. Let’s learn from each other– and figure out, facilitate, and advocate for the support structures we need to thrive. TL;DR: Mental health problems plague grad students, and while there are some resources available at and through the GC, the DSC strives to work on improving access to necessary resources and to create an atmosphere where mental illness is not stigmatized and getting help for it is encouraged. To that end, please, if you are comfortable, send me narratives about your experiences with mental illness, with getting help for mental illness, with dealing with insurance for mental health and substance abuse issues, so that we can share these stories in some kind of pamphlet, article, or digital form that will spread the word about what psychological/mental health issues we face at the GC, and hopefully, reduce stigma surrounding mental illness.